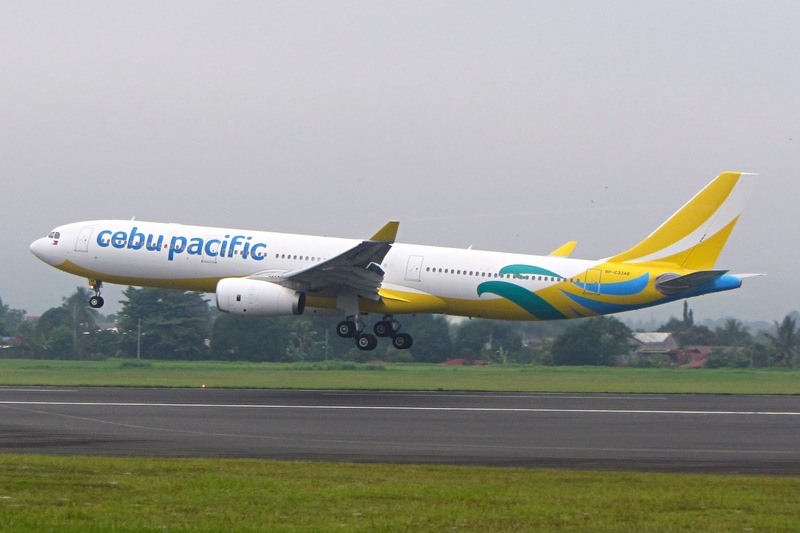 Aviation Updates Philippines - The Philippines' leading airline, Cebu Pacific (PSE: CEB), has updated all its booking systems to ensure that passengers who are exempt from the International Passenger Service Charge (IPSC), or the Terminal Fee, at the Ninoy Aquino International Airport (NAIA) can avail of this regardless of how they book their flights on Cebu Pacific. The move is seen to benefit thousands of Overseas Filipino Workers (OFWs) who book flights on Cebu Pacific to get to their job sites. TERMINAL FEE EXEMPTION. OFWs will be able to avail the terminal fee exemption on all flights of Cebu Pacific across all systems. Photo by Dirk Salcedo - PPSG. Since July 8, 2017, passengers who book their flights through the Cebu Pacific mobile app have been able to claim the NAIA Terminal Fee exemption by simply ticking a box before booking and payment is processed and confirmed. Bookings made through the Cebu Pacific Reservation Hotlines or via the website, www.cebupacificair.com on the other hand, have been exempted from paying the P550.00 NAIA Terminal Fee since April this year. Passengers need to present valid documents upon check-in to verify their eligibility for the IPSC exemption. For OFWs, these include the the Overseas Employment Certificate (OEC); and those included under the Philippine Overseas Employment Administration's Balik Manggagawa program such as a valid employment contract, recent payslip, or Company ID. Aside from OFWs, pilgrims with authorization from the Philippine Sports Commission, and guests who have been issued a MIAA exemption certificate (MEC) are also exempted from paying the IPSC, provided valid documents are presented. "Through these system upgrades, we hope to make it easier and more convenient for our OFWs to book flights with Cebu Pacific; and not have to go through a tedious and time-consuming process of reimbursing the NAIA Terminal Fee that they have been long-exempted from under the Migrant Workers Act," said Atty. JR Mantaring, Vice President for Corporate Affairs of Cebu Pacific. Cebu Pacific passengers also have the option to pay for the Travel Tax on international flights of PHP1,620.00 when they book their flights online via www.cebupacificair.com, or through any Cebu Pacific ticket office. Passengers who are exempt from the tax, or are eligible for reduced Travel Tax, on the other hand, can still book, pay and confirm their flights on Cebu Pacific, but they need to present valid tax exemption documents upon check-in. Cebu Air Inc. is the largest carrier in the Philippine air transportation industry, offering its low-cost services to more destinations and routes with higher flight frequency within the Philippines than any other airline. CEB currently offers flights to a total of 37 domestic and 26 international destinations, operating an extensive network across Asia, Australia, the Middle East, and USA.